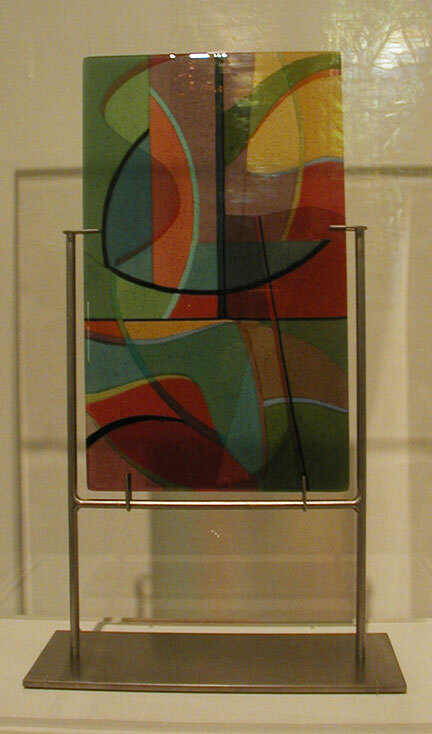 I saw this piece by artist and designer Dorothy Hafner at the Brooklyn Museum. (I apologize for the poor quality of the photo!) Take a look at the good photos of her work that appear on her website, and here and here. 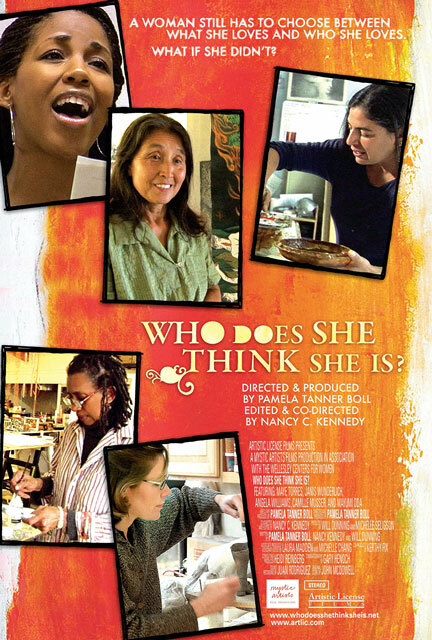 A terrific film is airing on PBS World this week called Who Does She Think She Is? It profiles five women artists who are also mothers and the choices that they had to make to stay in balance in both roles. 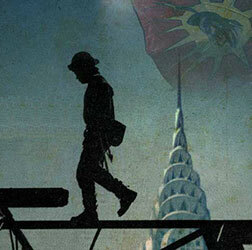 It is such an inspiring film which drove me to tears at the end. I identified so strongly with these women and I could have listened to them speak all night long. I was especially touched by the stories and work of two of the visual artists in the film: Maye Torres and Mayumi Oda. I was captivated by the words of drummer Layne Redmond who spoke of the legends of the goddesses who pre-dated Judaism. I had been exploring this on my own, wanting to know how my people lived before monotheism and the dogma of religion arrived. I had read what I could find about Astarte, a goddess of the earth who was revered in the Middle East, and Redmond mentioned her name, saying that she too had been a drummer and that there had been many goddesses depicted in “pre-historic” art as being strong women who carried a drum! I also fell in love with the paintings of Edith Vonnegut, whose work I’d never seen before. 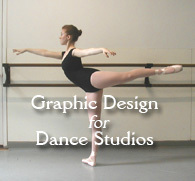 Visit her web site and take a look around. She creates stunning paintings of beautiful women as super heroes within the family and as activists around the world. These aren’t the type of super heroes who wear capes. These women are full figured nudes and angels. Any mother could recognize them! 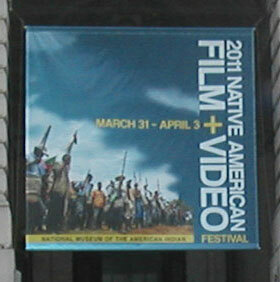 The film is directed by Pamela Tanner Boll and co-directed by Nancy C. Kennedy. Another film that I highly recommend is Garbage Warrior, which I recently saw on Sundance. 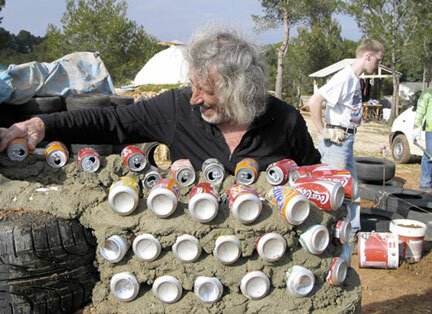 The film is about Taos architect Michael Reynolds who builds beautiful houses called Earthships out of natural materials and discarded tires, plastic and glass bottles, and soda cans. 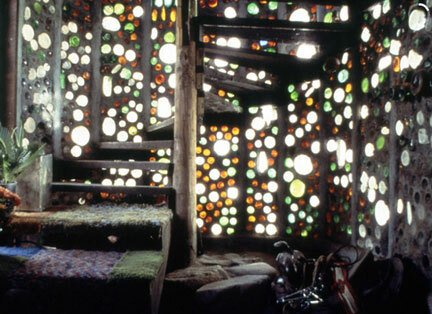 The film chronicles his career, along with his fight for the right to experiment with design. 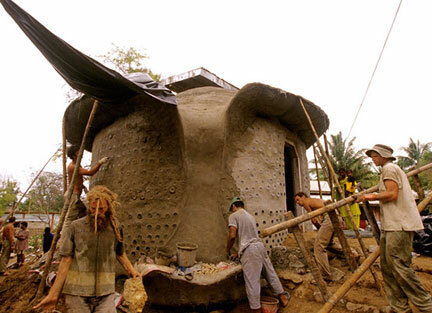 It also takes us to the Andaman Islands of India, where in the course of two weeks, Reynolds and his crew build a dwelling (again out of natural materials and garbage) in a town destroyed by the 2004 tsunami. As he’s building it, he is teaching his methods to the other engineers, architects and builders from the town. 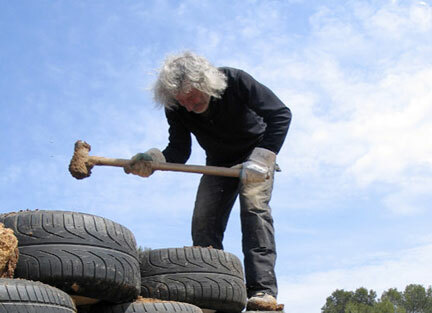 He’s a very inspiring figure fighting a crucial battle that could well move us along toward a sustainable way of life. This photo stopped me in my tracks the first time I saw it. The look on this girl’s face really fired my imagination. I saw it as a mixture of innocence and knowing, and I absolutely loved the shape and the movement of the wisp of her hair which the wind is blowing across her cheek. It is part of the exhibition titled GRAB which will be showing at the National Museum of the American Indian, George Gustav Heye Center in New York City through April 17th. This exhibition presents photographs by Idris Rheubottom, Tony Craig, and Cybelle Codish, of the little-documented Grab Day. An annual tradition in the villages of the Laguna Pueblo [ . 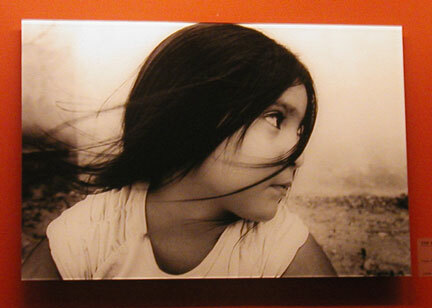 . . ] The photographers worked under the direction of filmmaker Billy Luther (Navajo/Hopi/Laguna Pueblo), whose current documentary Grab follows families preparing for this important tradition. Grab is an official selection of the 2011 Sundance Film Festival. This entry was posted in Cool Things, Film, Galleries and Museums, Karen, Sustainable Design, Visual Art and tagged Architect Michael Reynolds, Brooklyn Museum, Dorothy Hafner, Edith Vonnegut, Garbage Warrior, GRAB, Layne Redmond, Maye Torres, Mayumi Oda, National Museum of the American Indian, Oliver Hodge, Who Does She Think She Is. Bookmark the permalink. Thank you for the wonderful shout out for our film, Who Does She Think She Is?. We are so excited that our film is showing on PBS Stations across the country and we really appreciate you telling your readers about the PBS broadcasts. The film’s message is able to reach an even wider audience through these television broadcasts! I just wanted to let you know that we recently scheduled our film to be screened at the Brooklyn Museum in the Elizabeth A. Sackler Feminist Art Forum on Saturday May 7th at 6pm. Since you’ve seen the film, this screening will be very significant for us….we’ve been trying to bring our film there for a long time and we know it will be appreciated by that audience. Thanks again for your complimentary write up…..I’ll put a link to this on our facebook page! It’s wonderful to hear from you and I’m glad to see that Who Does She Think She Is will be screened at the Brooklyn Museum. It’s a really important film, especially for those who choose to balance motherhood and the artist’s life. But beyond that, I think that the film could have a universal appeal, because the women featured in the film are so heroic. I’m looking forward to seeing it again. You expressed my passion well. I’d like to give men a better example; AND help or get out of the way. Loved the Mormon family (we’re in Salt Lake Cit). I wonder if this success is replicable in Salt Lake–also former Columbus, Ohio resident (OSU, go Bucks). I can’t imagine her work surviving a Relief Society analysis. Tim, thank you for commenting. It would be good to give men a better example, but I think it’s the entire American society that could benefit by re-examining its priorities and values. It might be a different story if we lived in strong communities in which there is lots of support available for the mother and child, especially if she is single. I was very touched to hear the mother of the singer Angela Williams talk about how important it was to her that Angela pursue her career, and how she was ready make herself available to see to it that this could happen. Another line that stands out from the film was Mayumi Oda saying, “*I* need a wife!” I must have said that a hundred times when my children were young. There are indigenous communities and large extended families in which the people do make themselves available to lighten the load of the mother. But in America, it tends to be every man (or woman) for himself (or herself) so we don’t even take a look at any alternative. It might also make a difference if we, as a society, saw art as something valuable and necessary. Merci for your comment, Sophie. J’aime votre blog.